Health Services of Northern New York, Inc. is a Certified Home Healthcare Agency (CHHA) servicing Potsdam, Canton, Ogdensburg, Massena, Gouverneur, and surrounding areas of St. Lawrence County. Since 1986, we have provided excellent care for our patients right inside their homes. 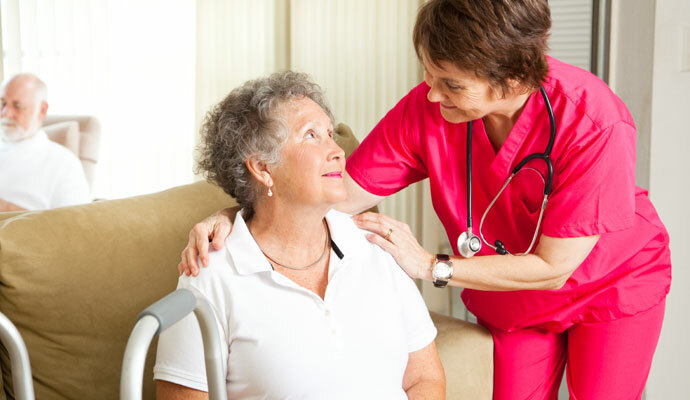 Our New York State certified nursing staff, personal care aides, and physical therapists can provide in-home services including Physical Therapy, Occupational Therapy, Speech Therapy, Nursing Care, Medical Social Work, Nutritional Consultation, and Home Health and Personal Care Aides. We will usually have a back-up plan if your caregiver can't work a shift. We handle all payroll deductions. We hire the majority of our staff internally. We complete a thorough screening process including: fingerprinting, criminal background checks, license checks, and personal and professional reference checks. All field staff are bonded and insured. We coordinate education and training for our staff and train all of our Personal Care Aides with a state certified Personal Care Aide Level 2 Curriculum. We have 24-hour scheduling and nursing services seven days a week, 365 days a year. We are certified to operate throughout St. Lawrence County in the State of New York.